This Fellowship program seeks to answer the question: What’s next? and looks to the future by bringing together insightful and energetic leadership and emerging models in a convergence of participatory practice and action learning. The new frontier of creative leadership requires new competencies, skills and sensitivities that are adaptive, engaging and relevant. This program aims to introduce an alternative model for professional development that balances traditional structure with increased creativity and experimentation. The September session focused on creating personal vision statements which we hope will anchor the Fellows work throughout the year. Prior to joining SOMArts, Maria was a key member of the External Relations team managing the reopening of SFMOMA following the museum’s $300 million dollar expansion. At SFMOMA, she worked across departments and built innovative community partnerships as the museum’s cultural and civic ambassador. Maria was the Founding Director of ArtPadSF– an independent art fair that transformed the Phoenix Hotel into an immersive and interactive platform to engage Bay Area artists, gallerists and art lovers. A student of dance, theater and screenwriting for many years, Maria has produced and directed live theater in Los Angeles, and launched and directed Salon Oblique in Venice, CA, a boutique art salon and gallery. Salon Oblique, like ArtPadSF, worked with performance, video, installation, and traditional media to create unique and theatrical events. Maria is active with the Arts for a Better Bay Area (ABBA) coalition and works with her colleagues at other major arts organizations in the region on education, advocacy and inclusion issues as they relate to arts, economic and community-building public endeavors. 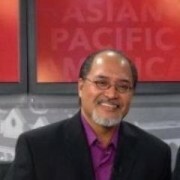 Nonprofit executive director, educator, grants professional, performing artist, community activist, historian, advocate for children and youth — for the last 20 years, Ron P. Muriera has integrated his various experiences and knowledge into his current calling serving communities locally in the San Francisco Bay Area, California and throughout the nation. As the sole proprietor of RPM Consulting, Ron has helped several organizations and agencies obtain funding from government, public and private sources. 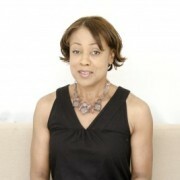 Having a long history of involvement in community planning and collaboration as well as extensive experience providing technical assistance to Federal TRIO Program personnel (specifically Educational Talent Search and Upward Bound), after-school and other school-linked services, Ron has an in-depth knowledge of these areas and has hands-on experience of what a successful program entails. Additionally, As a performing artist himself, Ron is very familiar and knowledgeable on funding for arts and cultural organizations. What issues and activities energize you at the highest level? What major contributions or lasting legacy would you like to leave in the field? What is the difference you wish to make in your community? What strengths have other people commented on about you and your accomplishments? What strengths do you see in yourself? Start with two boxes, write rejuvenation/balance/on-going commitment to living and working, or whatever else strikes your fancy on the outside of one box. On the other pick a keyword or phrase from your mission statement. Cover them in great fabric, or paint, or collage, do whatever you want to make the boxes yours. On another your mission statement and any goals related to that. In box two, put all the things that align with your personal mission statement. Again it can be any items as long as they are related to your mission and the direction of that mission. What you put in your boxes might be concert tickets, small statues, snippets of fabric, letters from loved ones, music scores, cds, paintings, wine corks, books, journal pages, research, pieces of history, demolished building, etc. This box is the holding place for your dreams, your place to put in time for thinking and research, but it is not the “thing” itself.